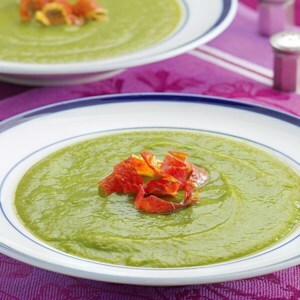 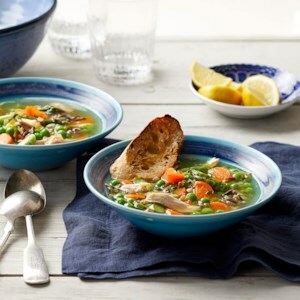 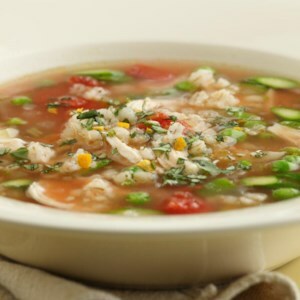 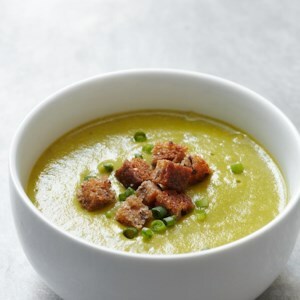 Find healthy, delicious asparagus soup recipes, from the food and nutrition experts at EatingWell. 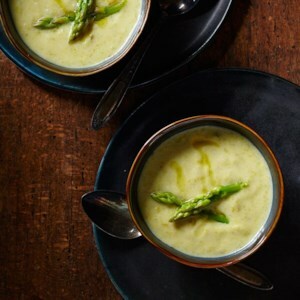 This lemony asparagus soup is spiced with a touch of curry and gets added richness from “lite” coconut milk and creamy red potatoes. 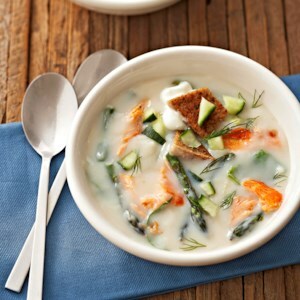 Top it with a dollop of crème fraîche or plain yogurt and serve warm or chilled. 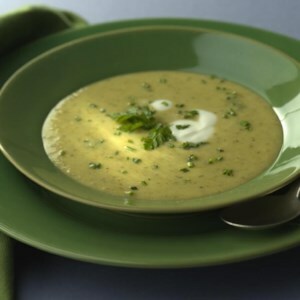 This creamless but still creamy soup is a great lunch or summer-night dinner on its own--but you can also spoon it over lump crabmeat, cooked shrimp or cubed tofu for a heftier meal. 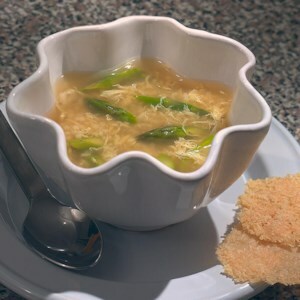 Stirring eggs into simmering broth is a classic technique for adding nourishment and body to soup. 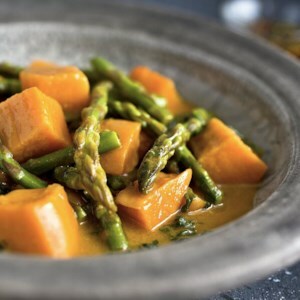 Asparagus gives it a mild, sweet flavor and a bit of texture. 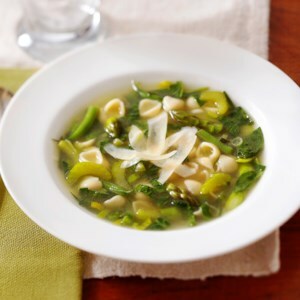 Serve this quick soup with Parmesan Crisps or sprinkle with grated Parmesan.